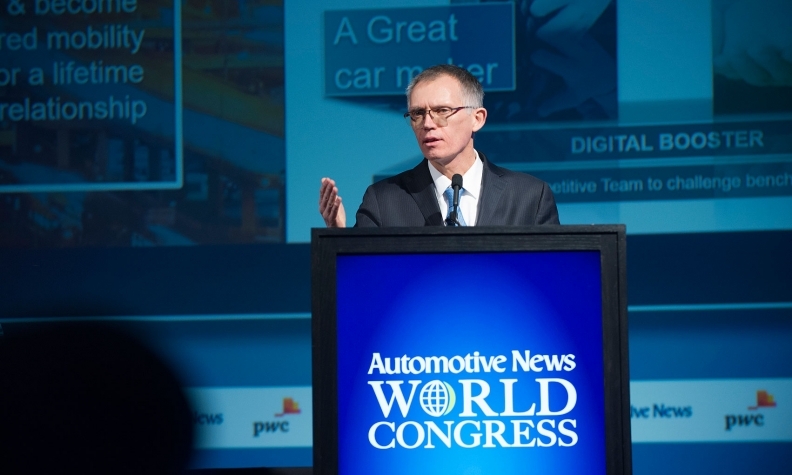 PSA has begun developing vehicles that are compliant with U.S. regulations, CEO Carlos Tavares said at the Automotive News World Congress this week. PSA Group, which plans a return to the U.S. auto market, is poised to put its North American headquarters in the greater Atlanta area, Automotive News has learned. A spokesman for PSA North America declined to comment on the plan, but a source familiar with the project confirmed the selection of metro Atlanta. PSA has begun publicly recruiting a staff to work in the Atlanta area. The French-based parent company of the Peugeot and Citroen brands -- absent from the U.S. market since 1991 -- intends to resume selling vehicles here by 2026, and has begun developing vehicles that are compliant with U.S. regulations, PSA CEO Carlos Tavares said at the Automotive News World Congress this week. But the company is already laying down a groundwork of 21st century transportation business activity. In October, PSA launched its Free2Move mobility platform in the U.S. market. That product brings multiple mobility services, such as Car2go and Zipcar, together in a single app. PSA will add a vehicle rental service to the app this year, along with other PSA services. The automaker is using the platform to research the U.S. market as it decides which brand will lead its return. The app also reintroduces PSA to the U.S. as a mobility company, as well as a vehicle manufacturer. PSA's headquarters plan would put even more auto industry executives into the Atlanta area. Mercedes-Benz USA and Porsche Cars North America also have moved their U.S. bases to the city. An Atlanta operating address puts the automaker at a major international flight hub for easy travel back and forth to PSA's global headquarters in Paris. But Atlanta also is rapidly taking on the role of a key U.S. center for software engineering. Georgia economic development officials have been fostering an engineering hub in metro Atlanta for the past few years, recruiting large automotive engineering operations there for General Motors and Panasonic.